Improve Your Window Treatments With These Easy Tips! Now that you have clean windows, you may be trying to figure out how you can make sure this part of your home or commercial building looks much better. Are you tired of the old blinds and curtains that you’ve been using for years, and you’d like to make this look much better? If this is what you’re after, Window Cleaning Company of Houston is here to provide you with a helpful blog post on how you can get to the bottom of this. Do you have some old bed sheets that you don’t use anymore? If you’ve moved on from our childhood twin bed and you now sleep on a King Plush, you may be wondering what to do with your old sheets instead of throwing them away, why not repurpose them into some vintage-style curtains? 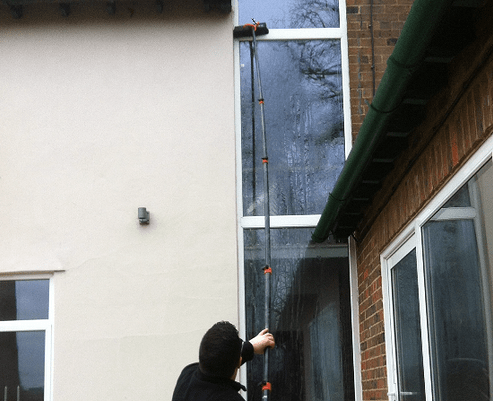 As a Houston Texas Window Cleaning Company, many of our professionals are also experts in keeping their windows in style in addition to sanitizing them. Over the years, your blinds and curtains will need to be replaced if you expect to maintain your home’s interior decor. Utilizing these simple tips can make sure you don’t have to worry about your windows being a weak point in your home. Invest in a quality tieback that makes your windows look beautiful even when your curtains aren’t in use. Are your trying to keep these sheets and drapes out of the way when you want to let a bit more sunlight come into your home? If so, using gold chains, sterling links, or any other type of flashy material to tie your curtains back could be a great decision. This is very popular amongst homeowners nowadays, and it can give your older residence or break room kitchen a flair that you need. Make sure you give this a try when you have a bit of free time. The best part is that you don’t even have to be an expert seamstress to execute it; all it takes is a hot iron, a bit of string, a pinch of threading ability! 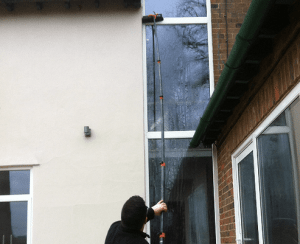 Our Houston Texas Window Cleaning Company tactics are transferable to the tips and tricks we give you on how to make your windows look much better. Now that you know more about the aesthetics of your windows, make sure you give them a fresh cleaning. Our team is ready to schedule your appointment today so you won’t have to worry about your windows’ streaks anymore. Call 832-639-3434 for more information.